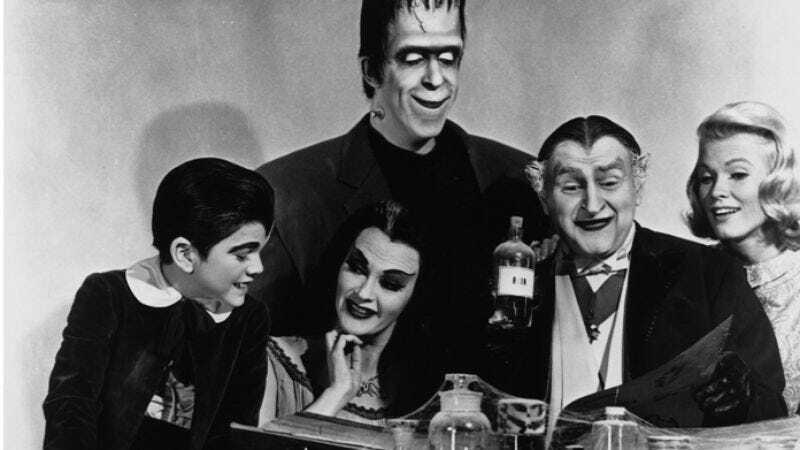 There are those who may have wondered how NBC planned to counterbalance the professed dark, edgy, edgy darkness of its Munsters reboot with the fact that it is still a reboot of The Munsters. “The Munsters is a silly name for a silly show about a family of multidisciplinary monsters sharing a house in the suburbs,” these hypothetical second-guessers may have said. “It certainly does not convey the gravitas of a darker, edgier show about a family of multidisciplinary monsters sharing a house in the suburbs.” Indeed it does not, which is why NBC has opted instead for Mockingbird Lane, widening its scope to include the whole of the Munsters’ neighborhood, and thus inventing the aura of mystery that is so crucial to generating interest in a new show, even one based on a frequently rehashed property. “Mockingbird Lane—I wonder who lives there?” a second subsect of hypothetical people will wonder come fall, only to be delighted to learn that it is a family of monsters who are not automatically beholden to the campiness of their predecessors, nor the brand recognition that was seemingly the sole reason their show was resurrected in the first place. Yes, it’s a risk, but most importantly, it’s an edgy one.